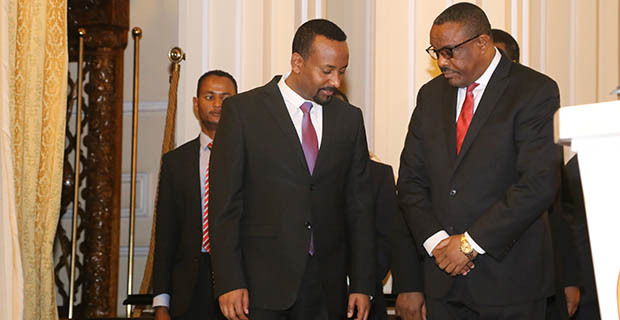 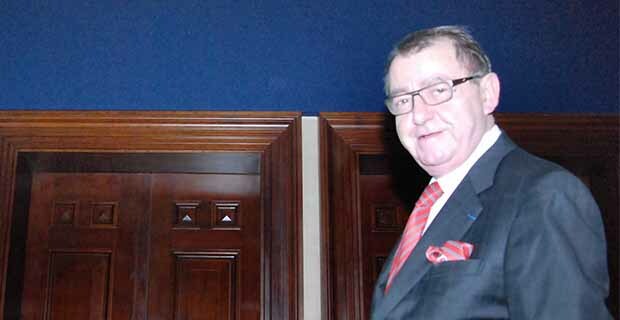 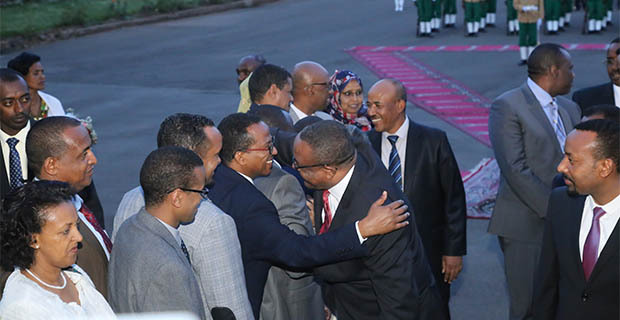 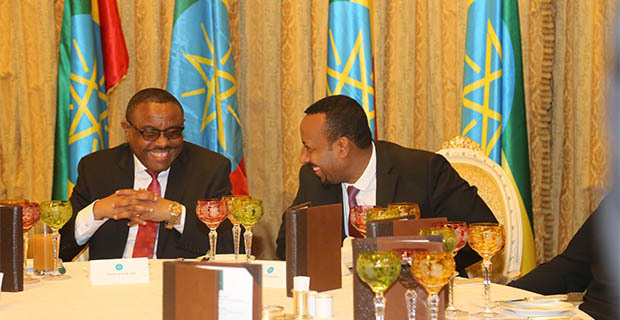 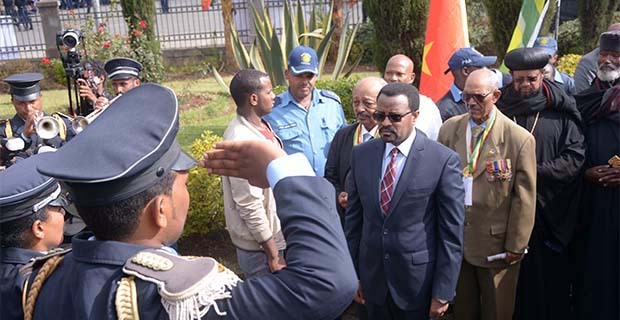 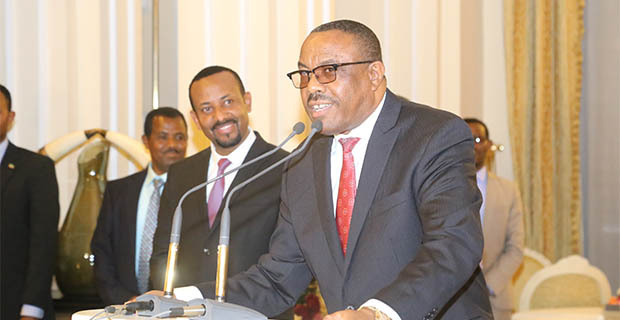 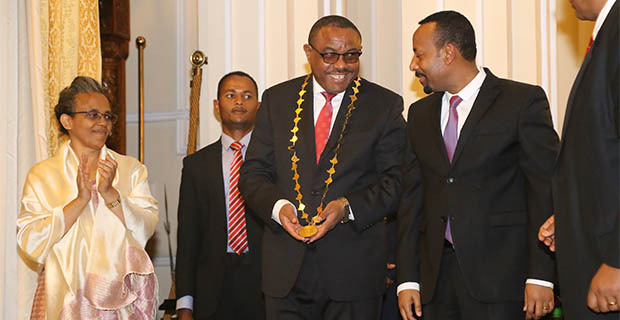 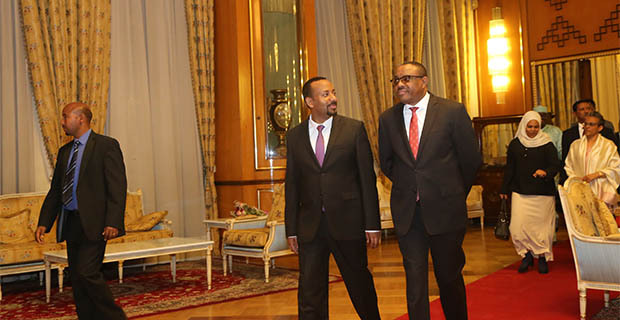 The official farewell of Former Prime Minister Hailemariam Desalegn at the Jubilee Palace was held on April 24, 2018. 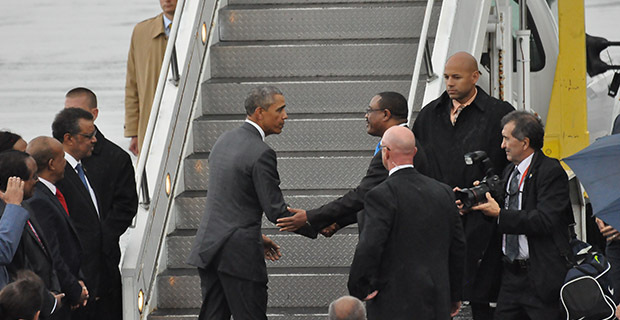 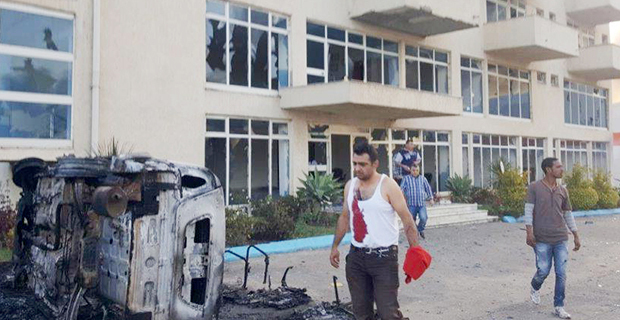 In attendance were members of the diplomatic community, religious leaders and government officials. 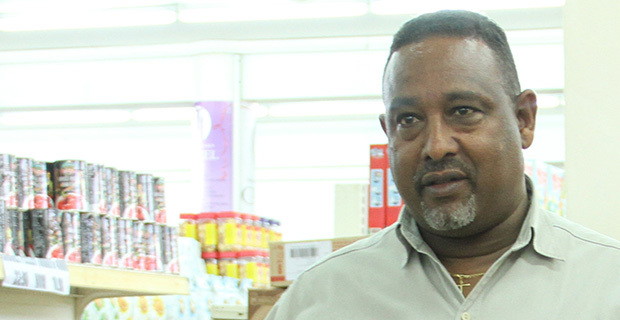 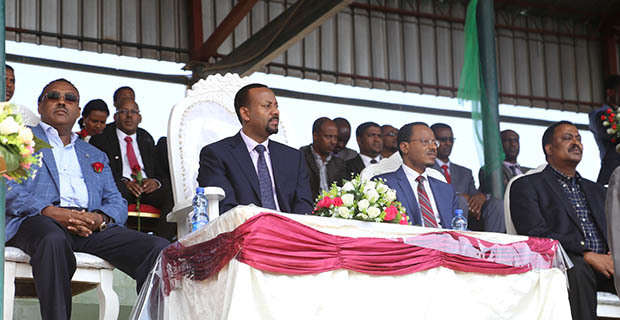 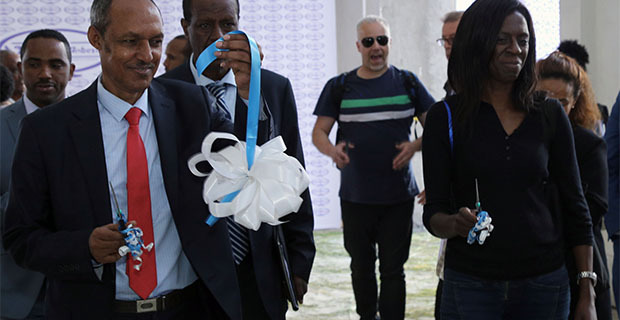 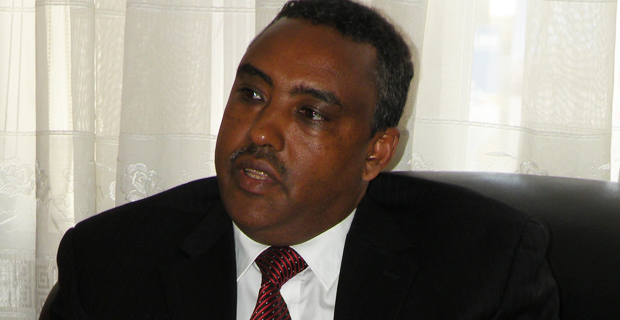 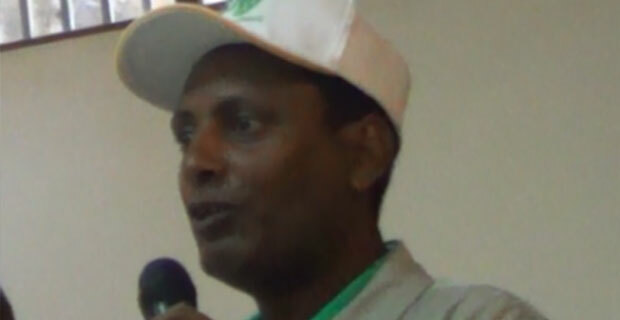 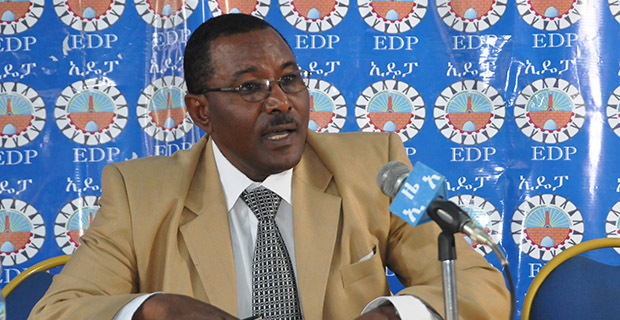 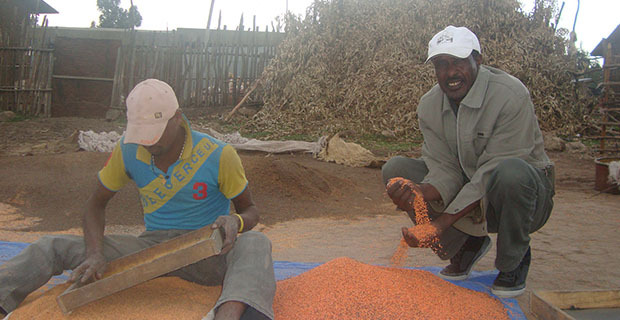 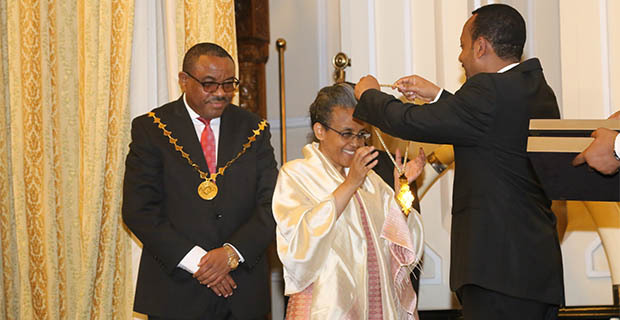 Hailemariam attended the event with the former first lady, Roman Tesfaye. 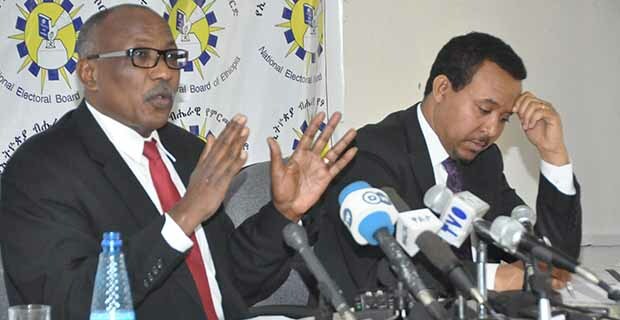 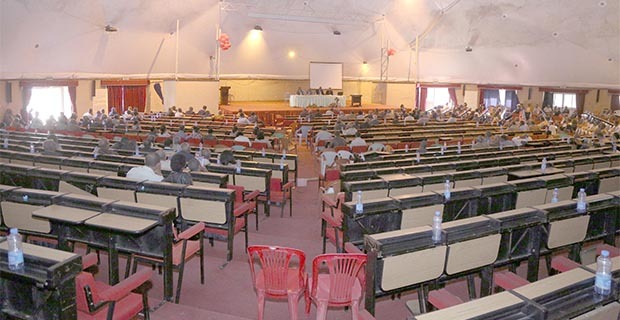 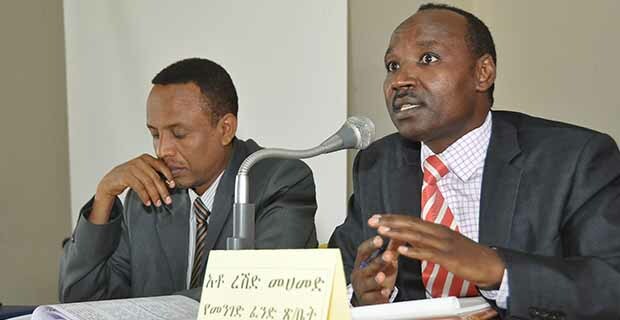 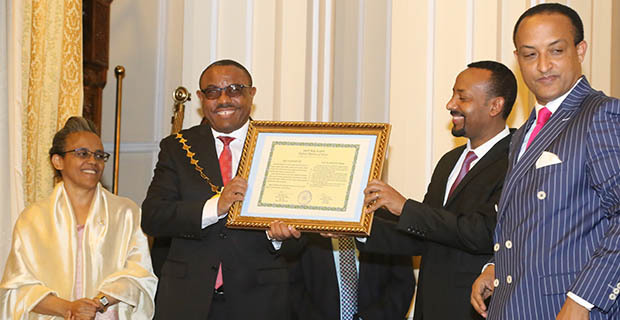 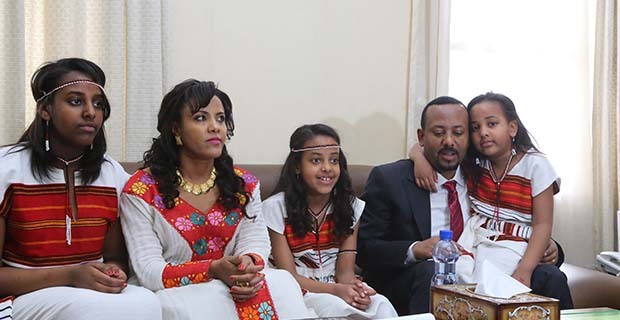 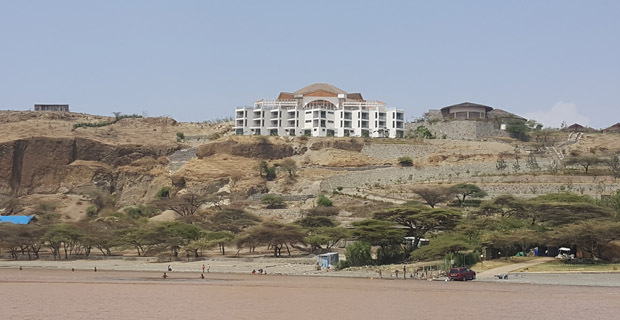 Each received the Highest Diploma of Honour as well as a gold medallion from Prime Minister Abiy Ahmed (PhD) in appreciation of their service.